Comm Eye Health Vol. 15 No. 43 2002 pp 45-46. Published online 01 October 2002. This article focuses on the significance of management and planning for primary eye care for the population aged 60 and over, in Pakistan. It takes the case of age-related cataract and highlights the importance of creating public awareness about cataract in terms of the respective roles of health planners, policy makers and service providers. The highest uses of health services – and most deaths – occur in the older age groups.1 A number of disabilities are also found in old age. Among the common causes of disabilities are nutritional and dental problems, arthritis and rheumatism, hearing loss, high blood pressure, mental health problems, fractures, cardiovascular, respiratory and digestive disorders – and visual impairment. Management of eye care in the elderly is not simple. Elderly people are usually cautious and conservative.2 They are vulnerable and take fewer risks regarding treatment, in comparison with the younger population. Age-related cataract is the most common cause of blindness in Pakistan. The fact that cataract is treatable makes it vital that the public becomes aware of its nature and potential problems. Doctors are also required to adopt modern approaches and practices regarding the management of this condition. We carried out a study at the Khyber Teaching Hospital, Peshawar, Pakistan to assess the magnitude of the problem and the level of awareness amongst the public and also among doctors themselves. A random sample of 100 patients, aged 60 and above, who visited the eye outpatient department was taken during the months March and April 2001. This study clearly revealed that age-related cataract was the major eye problem of old age in the region (Table 1). It showed that, among the elderly, the incidence of age-related cataract was higher in the poor economic category (Table 2). It also indicated that the elderly population suffering from eye conditions had social and emotional needs, which are equally important for consideration by the service providers. An informal effort was also made to determine the doctors’ approach and awareness and we were surprised by a number of misconceptions about age-related cataract. Most of the patients thought that they must wait until the cataract is mature before cataract surgery takes place and if an immature cataract is operated on it will damage the eye. We heard many doctors telling their patients: ‘Your cataract is not yet ready for an operation – come after a few months when it is mature enough and only then shall we operate on your eye’. This practice has led to practical blindness for many patients, resulting in surgery only when their vision has deteriorated to hand movements or perception of light. Another misconception is about intraocular lens implantation. To our surprise, there were some patients who thought that the intraocular lens has to be changed every year – which would not be affordable and quite impractical for them. Yet another group of patients believed that cataract is a contagious disease. It was also observed that if a member of the family has had failed cataract surgery, the rest of the family strongly believe that such surgery would always result in failure. Some patients said that their father, or mother, had had cataract surgery but there was no improvement in vision. The relatives of these patients, who had developed post-operative endopthalmitis and resultant phthisis, were never ready to be operated on for cataract. Also, when cataract surgery has poor results because of missed underlying eye disease, the general public loses confidence in the surgery. Some patients find it difficult to practice ‘precautionary measures’, which according to their beliefs is understood as ‘rest as much as possible and for several months’. Some reported that they did not take a bath for a whole month after their surgery, because they believed that the intraocular lens could ‘fall down’ in the process. The elderly are normally sensitive and sometimes emotional and not ready to accept new concepts or take risks. Effective public awareness demands very careful planning and management by the government, NGOs and good service delivery. Campaigns, including effective use of the media, are most important. Traditional practices and beliefs have to be replaced by modern concepts and techniques. There are only a few voluntary organisations which are working for the elderly in Pakistan. 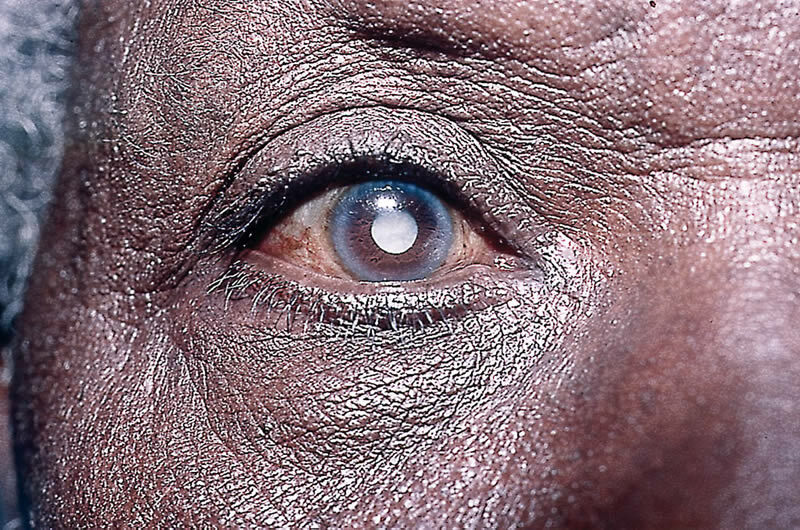 Some are working in the prevention of blindness, irrespective of a particular age group. To align and enhance their efforts, multi-sectoral and inter-sectoral approaches should be adopted; involving communities, Government, the NGOs (operating at national and international levels), voluntary workers and service providers. All must collaborate to create public awareness regarding age-related cataract. To design campaigns regarding such awareness, the role of social science research in addressing the challenges of behavioural and attitudinal changes, motivational and emotional response approaches, and relevant social marketing techniques must not be undermined.4 The development of multi-disciplinary and inter-disciplinary teams and task groups of trained community ophthalmologists, service managers, health planners and medical social scientists should be encouraged and established. 1 Restrepo HE, Rozental M. The social impact of aging populations: some major issues. Social Science and Medicine 1994; 39: 1323-1338. 2 Wormald R. Delivery of eye care to the elderly: practical considerations. J Comm Eye Health 1999; 12: 6-7. 3 Brundtland GH. Endorsement of the Global Initiative Vision 2020: The Right to Sight. J Comm Eye Health 1999; 12: 16. 4 Abdullah MT. (2000). An Analysis of the Challenging Environment of Inter-Agency Collaboration for Primary Health Care in Pakistan. PhD thesis, Lancaster University, England.